So that in which there is no difference between the former and the latter scholars regarding one who does not judge by what Allaah has revealed out of denial or making it permissible is that such an individual is a kaafir (disbeliever), out of the fold of Islam. 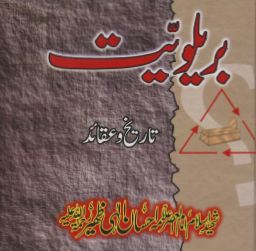 Then the scholars of tafaseer did not differ in the detailed explanation of it, except in their usage of words, so the one who has little knowledge will think that they are differing in meaning but that is not the case some of them explain by means of synonymous terms while others are straight forward in their explanation but they all mean and believe the same, which is the belief of Ahla Sunnah wal Jamaat. He who denies what Allaah has revealed has disbelieved and he who accepts it but does not judge by it then he is a dhaalim, faasiq. This is narrated by Alee Ibn Abee Talhah, from Ibn Abbaas (radiyallaahu anhu) and similar to this is narrated by Ikrimah. That the intended meaning of this verse is kufr doona kufr (disbelief less than disbelief) which does not takes one out of the fold of Islam. And these first two sayings, there are no problems with at all. Both of them in reality give one meaning at the end, and that is our saying: after establishment and explanation. That Allaah meant by this verse the Jews who changed the book of Allaah and its rules. There are over nine evidences for this. From those who said this are: Al-Baraa, Hudhayfah, Ikrimah, Dahhaak, Qataadah, Abu Saalih, Abu Mijliz, Ubaydullaah Bin Abdullaah Bin Utbaa Bin Mas’ood and most of the Mufassireen as stated by Al-Qurtubi. Remember here also the principle that evidence is taken from the generalisation of the words not from the specific reason for revelation. The kufr in these verses refer to everyone that does what the Jews done in their denial of some of the rulings of the shari’ah that are well established, and that is what was intended by those who made it specific to the Jews, who changed the book of Allaah. “We were with Hudhayfah (radiyallaahu anhu) so we mentioned: “..And whoever does not judge by what Allaah has revealed such are the disbelievers (kaafiroon).” [Al-Maa`idah (5):44]. A man from amongst the people said “Indeed this was revealed upon the children of Israel! They said: `By Allaah you truly know what we know, but you fear them. He said: `You have more cause to be afraid then us, as for us, we do not know what you know!` They said: `you do know but that which prevents you from performing your duty is your fear of them. So Aboo Mijliz (rahimahullaah) was saying that the leaders know what they know regarding judging by other than what Allaah has revealed, and they know that it is major sin and that they are deserving a dreadful punishment. But their desires and lusts carried them along. So the verse does not include them in it. Because it was revealed upon those who judge by other than what Allaah has revealed out of denial and making it permissible as the Jews and Christians and whoever treads their path. So those are the ones that leave the fold of Islam, because of their denial, and making halal, not the leaders. This is indeed the opinion of many people today! Oh Allaah I flee to you from ever going astray and speaking without knowledge. Fourth and fifth saying to follow in next weeks class, in shaa’ Allaah. That Allaah meant by this verse all of mankind, the Muslims and the disbelievers. From those who say that are Ibn Mas’ood, Al-Hasan, and Ibraheem An-Nakha’ee and As-Suddi. The word: مَن “..(man) whoever..” (in the above verse) cannot be restricted to a particular people like leaders, or politicians, or Jews or Christians, it shows clearly that it applies to all people. Ibn Mas’ood and Al-Hasan said: “It is general for anyone who does not judge by what Allaah reveals from the Muslims, and the Jews and the disbelievers.” meaning believing in that and making it permissible. So it is imperative to know here that it was the Mufassiroon that placed the above restriction of the verse, regarding the leaders. Whilst at the same time they were the ones who made the verse general to everyone else. This means that for the leader it can only be kufr al Ashgar (minor kufr), and as for everyone else then it could at times be kufr al Ashgar or at times be kufr al akbar. 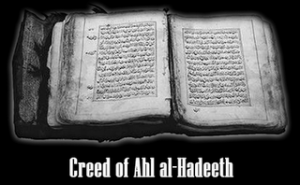 Abu Hayaan said: “And it is as if He specified every general statement by the verse which came after it. This statement is understood just as the previous one that the kufr of the Muslims is kufr maasia (major sin) or kufr-doona- kufr (a kufr that does not take one out of the fold of Islam) otherwise the apparent state of the Muslims would be more evil than the people of the Book. This is how the people of knowledge explained it. This dictates that the believers are in an evil condition, worse than the Jews and the Christians. Except that if it was said: “that kufr if it is directed to the believers then it is carried as harshness, and a disbeliever if he is described with fisq (sin) and dhulm (oppression) then it shows his arrogance and his disobedience in it. There is no real difference in the reality of its meaning or its explanation. Rather all of them come out from one niche. If there begins differences in the apparent usage of words then it is permissible differing (ikhtilaaf-at-tanowwaa), not the impermissible differing (ikhtilaaf-u-tadaad), and we praise Allaah for this. As for the apparent meaning of the verse then no one from the well known people of knowledge explained it to mean what it apparently says. Rather no one at all had ever done so. 1. He who denies what Allaah has revealed has disbelieved and he who accepts it but does not judge by it then he is a dhaalim, faasiq. 2. That the intended meaning of this verse is kufr doona kufr disbelief less than disbelief which does not takes you out the fold of Islam. 3. That Allaah meant by this verse the Jews who changed the book of Allaah and its rules. 4. That Allaah meant by this verse all of mankind, the Muslims and the disbelievers. Then none of his findings will go out of the above five saying. In conclusion it can clearly be seen that a leader who does not judge by what Allaah has revealed does not leave the fold of Islam unless he falls under point 1 (first saying) only. As for point 4 (fourth saying) though it is general according to some mufassireen so incorporates leaders as well, it is restricted to a kufar–masiayah for the leaders which does not take them out the fold of Islam. 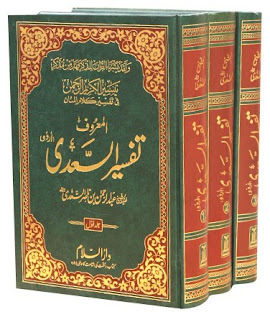 See Tafseer at Tabari (10/346-353), Tafseer Al-Qurtubee (6/190), and ad-Durr al- Manthoor (3/87) and other books of tafseer.